Richard and William Barker of Rice took the top honors at the Pacific Coast Doubles Championships after defeating the country's number one duo, Lester Cook and Ante Matijevic of Texas A&M, 7-6(5),4-6,6-3. Stanford's KC Corkery and Sam Warburg were the consolation winners. The Pacific Coast Championships have been hosted by the La Jolla Beach & Tennis Club since 1942. Past winners include Bobby Riggs, Arthur Ashe, Stan Smith and John McEnroe. Dennis Emery became the first Kentucky coach to surpass 400 wins when his team swept a doubleheader on March 31st. Coach Emery is in his 22nd season with the Cats. 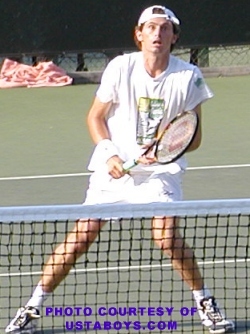 The William & Mary men were the recipient's of the ITA National Team Sportsmanship Award in March, while Georgia Tech took the women's award. Nominations are made by coaches and then the winners are selected by the ITA Ethics and Infractions Committee. 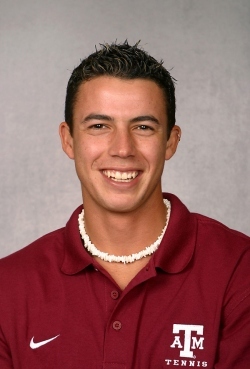 The Class of 2004 has been chosen for the ITA Men's Hall of Fame. This year's inductees are: Gardner Larned of William & Mary; Billy Lenoir of Arizona; Jim Delaney of Stanford; John Sadri of North Carolina State; Paul Haarhuis of Armstrong Atlantic State and Jim Osbourne of Utah (as a player) & BYU (as a coach). The ceremony will take place on May 26th.